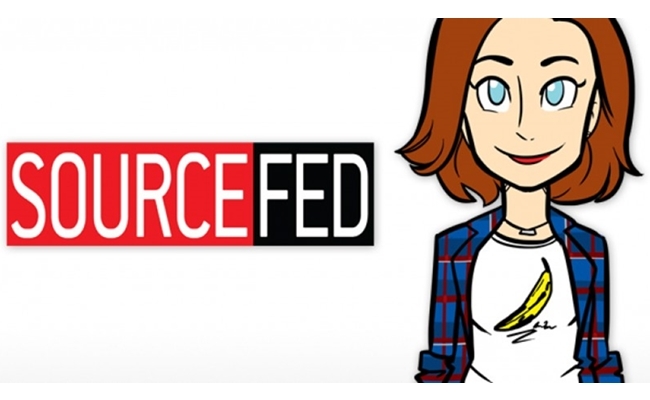 Over the past few months, SourceFed has undergone a significant reshuffling, with founding members departing the offbeat news program and fresh faces replacing them. The latest personality to add her name to the SourceFed cast is Bree Essrig. Essrig is best known for her personal YouTube channel, where she posts everything from impressions to song parodies to drunken movie reviews. We’ve previously seen her on other channels as well; she served as a host for The Young Turks’ PopTrigger and appeared in the Dr. 1Up web series on Machinima Prime. With SourceFed, Essrig will serve as one of several presenters for the channel’s typical blend of serious news and offbeat, humorous commentary. Here she is, in her first week on the job, delivering a typical SourceFed story alongside co-host William Haynes. Essrig’s arrival at SourceFed comes three months after Joe Bereta, one of the channel’s original hosts, left to join Defy Media. Essrig is one of several new hosts who have joined the team, and she has already appeared in a number of videos that can be found on the SourceFed channel.